Is this an oxymoron? Skinny and Grande in the same recipe title? It is possible- with the right recipe. Nachos, for the most part, are pretty paleo friendly, depending on what toppings you get, with the exception of the tortilla chips. They are my go to munchie food on those late Saturday nights, when I come home alone at 4 am (sans a boy) and watch episodes of Intervention on demand (although, last time I actually put on Intervention while having a boy over to detract from the awkward..soo when are you going to initiate something? phase. I may need an intervention from Intervention soon). I ended up splitting a plate of nachos with my friend I visited in Boston (unfortunately...not a flattering food to eat on a friend-date since you are shoving heaps of toppings down your throat and inevitably make a huge mess) as dinner on Friday night. So, I have been inspired to create a recipe inspired by the chain restaurant Chevy's Fresh Mex for you to enjoy. **This is a vegan, soy free cheese substitute. You can find it at your local Whole Foods or similar stores. 1) Saute onion and garlic in olive oil over medium high heat until lightly browned. Add ground beef and continue cooking until meat is browned, 8-10 minutes. Add cumin, salt, and pepper to taste. Remove from heat and set aside. 2) Place plantain chips on a plate and top with vegan cheese. Place in microwave for 30-60 seconds, until cheese is melted and slightly bubbly. 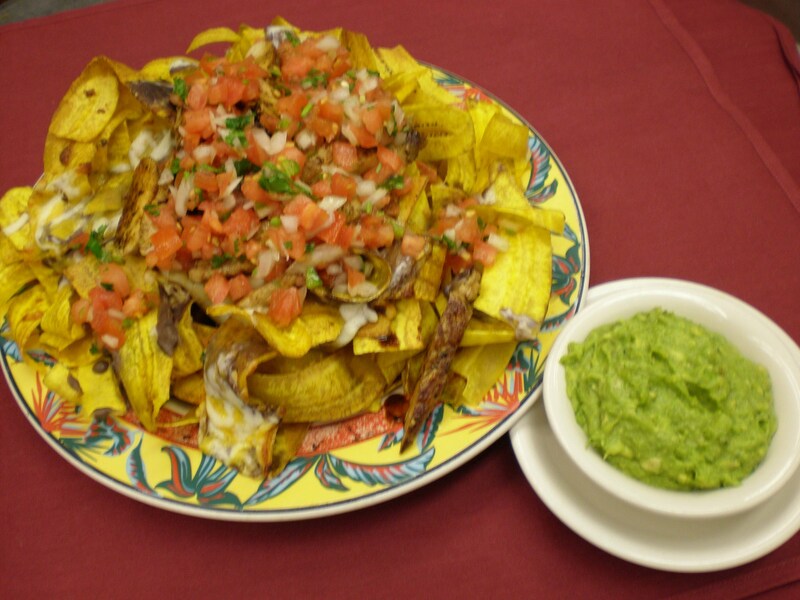 3) Top chips with meat, guacomole, lettuce, olives, jalepenos, and salsa. Enjoy!